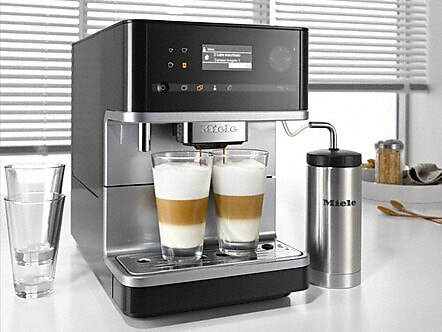 ​Single or double: Extra program for preparing one or two cappuccino or latte macchiato. 2. AromaticSystemIntelligent technology: The brew chamber mixes coffee and water perfectly. Easy access: Convenient access to bean container, water container, waste container and drip tray. ​Ideal distance: The CupSensor recognizes the cup rim and alters the position of the central spout accordingly. Intelligent technology: The brew chamber mixes coffee and water perfectly. Which user interface do you prefer? 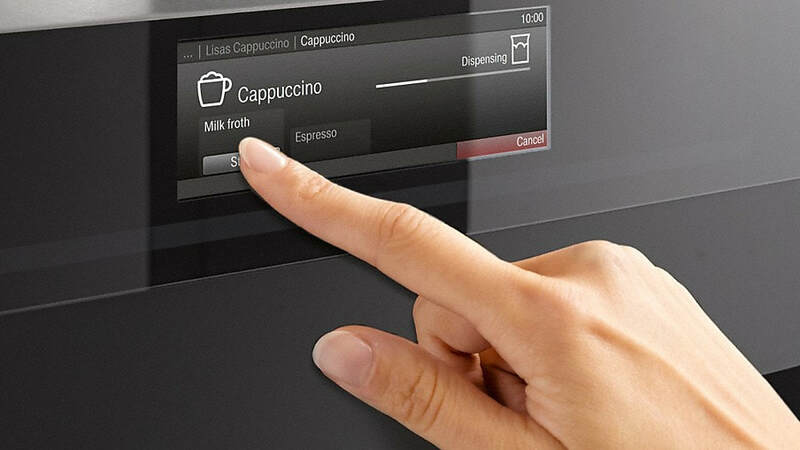 All Miele coffee machines are equipped with user-friendly controls. The display is always centrally located and the functions of the array of sensor controls beneath are directly accessible.